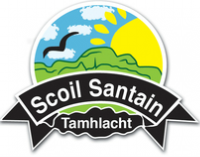 Más maith leat cabhrú le aire a thabhairt do Ghairdín na Scoile labhair le Múinteoir Pól le do thoil. Bíonn neart oibre le déanamh ann i gcónaí! If you would like to help take care of the School Garden please speak to Múinteoir Pól. There's always plenty of work to be done!